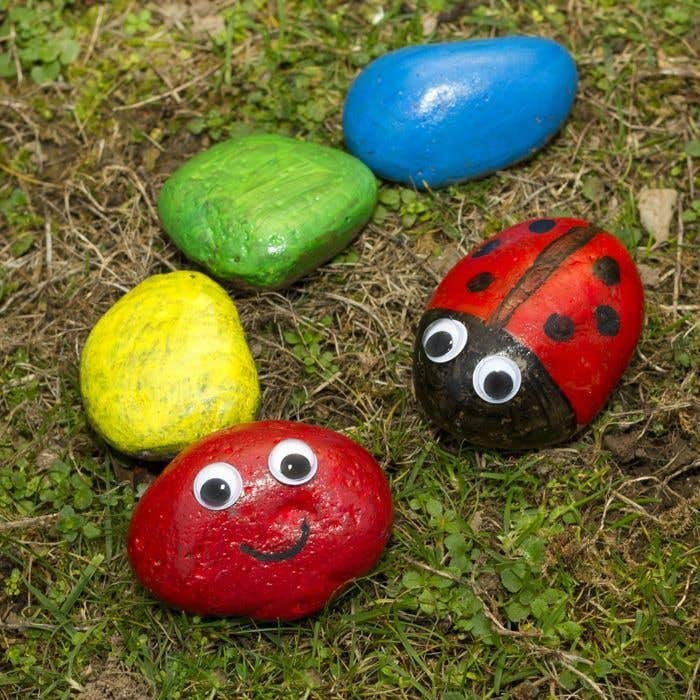 Liven up your garden this summer with colourful painted rock bugs such as a rainbow caterpillar and ladybirds interspersed amongst the flowers. Take a rock from the pack and cover it in a coat of red paint. Leave it to dry, then add another coat of paint. Repeat step 1 with three more stones, using yellow, green and blue paint. 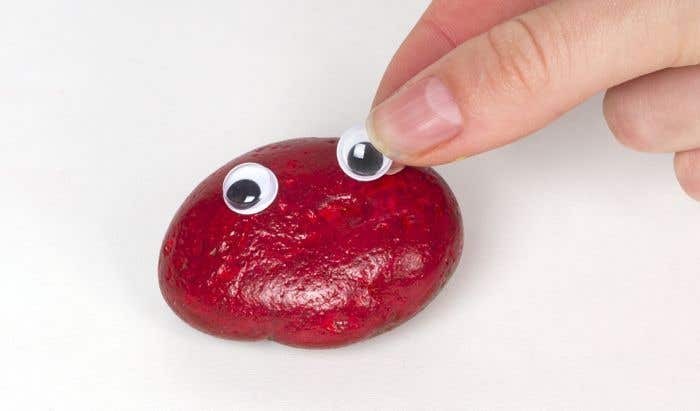 Once the paint is fully dry, add two wiggle eyes to the red stone. Then paint a black smile underneath the eyes. Place the stones next to each other in a line to create the caterpillar. 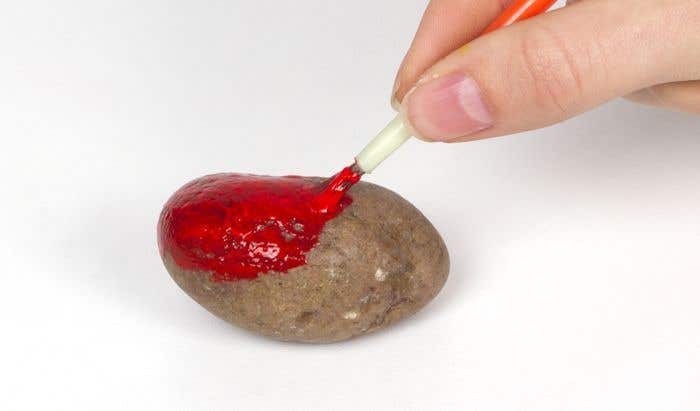 Take a round stone and cover it in red paint. Then add another coat of paint and leave it to dry. 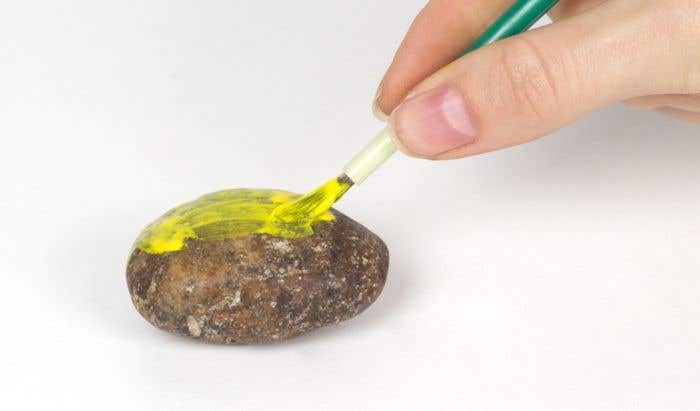 Paint a third of the stone with black paint to create the ladybird's head. Paint a black line down the centre of the red section of the stone, then paint black spots either side of it. Add two wiggle eyes to the black section of the stone to create the ladybird's face. Make the caterpillar longer by adding more colourful stones.